Fiber to the x is the key method used to drive next-generation access (NGA), which describes a significant upgrade to the Broadband available by making a step change in speed and quality of the service. This is typically thought of as asymmetrical with a download speed of 24 Mbit/s plus and a fast upload speed. The Definition of UK Superfast Next Generation Broadband  OFCOM have defined NGA as in "Ofcom's March 2010 'Review of the wholesale local access market" "Super-fast broadband is generally taken to mean broadband products that provide a maximum download speed that is greater than 24 Mbit/s. This threshold is commonly considered to be the maximum speed that can be supported on current generation (copper-based) networks." Fixed wireless is the operation of wireless communication devices or systems used to connect two fixed locations with a radio or other wireless link, such as laser bridge. Usually, fixed wireless is part of a wireless LAN infrastructure. The purpose of a fixed wireless link is to enable data communications between the two sites or buildings. Fixed wireless data (FWD) links are often a cost-effective alternative to leasing fiber or installing cables between the buildings. Wi-Fi is technology for radio wireless local area networking of devices based on the IEEE 802.11 standards. Wi‑Fi is a trademark of the Wi-Fi Alliance, which restricts the use of the term Wi-Fi Certified to products that successfully complete, then after many years of testing the 802.11 committee interoperability certification testing. Multifamily residential is a classification of housing where multiple separate housing units for residential inhabitants are contained within one building or several buildings within one complex. Units can be next to each other, or stacked on top of each other. A common form is an apartment building. Sometimes units in a multifamily residential building are condominiums, where typically the units are owned individually rather than leased from a single apartment building owner. Many intentional communities incorporate multifamily residences, such as in cohousing projects. A passive optical network (PON) is a telecommunications technology used to provide fiber to the end consumer, both domestic and commercial. A PON's distinguishing feature is that it implements a point-to-multipoint architecture, in which unpowered fiber optic splitters are used to enable a single optical fiber to serve multiple end-points. The end-points are often individual customers, rather than commercial. A PON does not have to provision individual fibers between the hub and customer. Passive optical networks are often referred to as the "last mile" between an ISP and customer. To promote consistency, especially when comparing FTTH penetration rates between countries, the three FTTH Councils of Europe, North America, and Asia-Pacific agreed upon definitions for FTTH and FTTB in 2006,  with an update in 2009,  2011  and another in 2015. The FTTH Councils do not have formal definitions for FTTC and FTTN. FTTH (fiber-to-the-home) is a form of fiber-optic communication delivery that reaches one living or working space. The fiber extends from the central office to the subscriber's living or working space. Once at the subscriber's living or working space, the signal may be conveyed throughout the space using any means, including twisted pair, coaxial cable, wireless, power line communication, or optical fiber. Where it is feasible to run new cable, both fiber and copper ethernet are capable of connecting the "curb" with a full 100Mbit/s or 1Gbit/s connection. Even using relatively cheap outdoor category 5 copper over thousands of feet, all ethernet protocols including power over Ethernet (PoE) are supported[ citation needed ]. Most fixed wireless technologies rely on PoE, including Motorola Canopy, which has low-power radios capable of running on a 12VDC power supply fed over several hundred feet of cable. In the United States and Canada, the largest deployment of FTTC was carried out by BellSouth Telecommunications. With the acquisition of BellSouth by AT&T, deployment of FTTC will end. Future deployments will be based on either FTTN or FTTP. Existing FTTC plant may be removed and replaced with FTTP. Verizon, meanwhile, announced in March 2010 they were winding down Verizon FiOS expansion, concentrating on completing their network in areas that already had FiOS franchises but were not deploying to new areas, suggesting that FTTH was uneconomic beyond these areas. 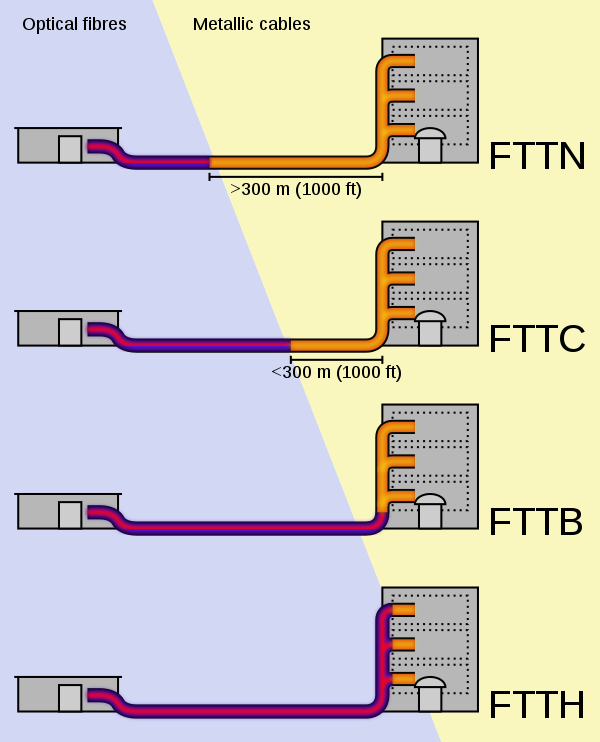 FTTN/C is seen as an interim step towards full FTTH and in many cases triple-play services delivered using this approach have been proven to grow subscriber numbers and ARPU considerably    FTTN/C is currently used by a number of operators, including AT&T in the United States, Germany's Deutsche Telekom, Greece's OTE, Swisscom, TIM in Italy, Proximus in Belgium, nbn™ in Australia, and Canadian operators Telus, Cogeco and Bell Canada. Hybrid fiber-coaxial (HFC) is a telecommunications industry term for a broadband network that combines optical fiber and coaxial cable. It has been commonly employed globally by cable television operators since the early 1990s. In telecommunications, cable Internet access, shortened to cable Internet, is a form of broadband Internet access which uses the same infrastructure as a cable television. Like digital subscriber line and fiber to the premises services, cable Internet access provides network edge connectivity from the Internet service provider to an end user. It is integrated into the cable television infrastructure analogously to DSL which uses the existing telephone network. Cable TV networks and telecommunications networks are the two predominant forms of residential Internet access. Recently, both have seen increased competition from fiber deployments, wireless, and mobile networks. 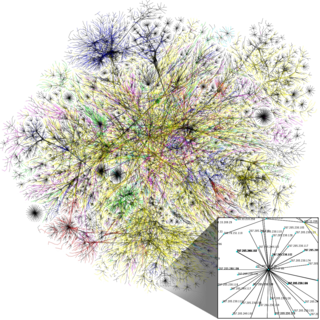 In Romania there are 18.8 million connections to the Internet. Romania's country code is .ro. The .eu domain is also used, as it is shared with other European Union member states. There were over 600 000 domains registered under .ro at the end of 2012. FTTLA refers to "Fibre to the Last Active". Classic analogue cable television trunks used several amplifiers at intervals in cascade, each of which degrades the signal. FTTLA replaces the coaxial cable all along the line to the last active component with optical fibre, eliminating all distribution amplifiers. It retains the existing most expensive part of the access network, the coaxial cables for the "last mile" or "last metres" connected with the subscriber. Networking cables are networking hardware used to connect one network device to other network devices or to connect two or more computers to share printers, scanners etc. Different types of network cables, such as coaxial cable, optical fiber cable, and twisted pair cables, are used depending on the network's physical layer, topology, and size. The devices can be separated by a few meters or nearly unlimited distances. ClearCurve is Corning's brand name for a new optical fiber that can be bent around short-radius curves without losing its signal. It is constructed with a conventional fiber on the inside, surrounded by a cladding containing a new nanostructured reflector. ClearCurve is hundreds of times more flexible than conventional optical cable, transmitting high-quality signals even when wrapped around small objects like a pen, where a conventional cable would lose the signal completely. 10G-PON is a 2010 computer networking standard for data links, capable of delivering shared Internet access rates up to 10 Gbit/s over existing dark fiber. This is the ITU-T's next generation standard following on from G-PON or Gigabit-capable PON. Optical fibre is shared by many subscribers in a network known as FTTx in a way that centralises most of the telecommunications equipment, often displacing copper phone lines that connect premises to the phone exchange. Passive optical network (PON) architecture has become a cost-effective way to meet performance demands in access networks, and sometimes also in large optical local networks for "Fibre-to-the-desk". The National Broadband Network (NBN) is an Australian national wholesale open-access data network project. 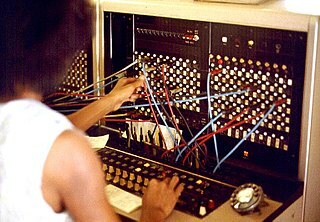 It includes wired and radio communication components rolled out and operated by NBN Co Limited. Retail service providers (RSPs), typically Internet service providers, contract with NBN to access the network and sell fixed internet access to end users. EPON Protocol over Coax, or EPoC, refers to the transparent extension of an Ethernet passive optical network (EPON) over a cable operator's hybrid fiber-coax (HFC) network. From the service provider's perspective the use of the coax portion of the network is transparent to EPON protocol operation in the optical line terminal (OLT) thereby creating a unified scheduling, management, and quality of service (QoS) environment that includes both the optical and coax portions of the network. The IEEE 802.3 Ethernet Working Group initiated a standards process with the creation of an EPoC Study Group in November 2011. EPoC adds to the family of IEEE 802.3 Ethernet in the First Mile (EFM) standards. ↑ Coomans, Werner; Moraes, Rodrigo B.; Hooghe, Koen; Duque, Alex; Galaro, Joe; Timmers, Michael; Van Wijngaarden, Adriaan J.; Guenach, Mamoun; Maes, Jochen (2015). "XG-fast: the 5th generation broadband". IEEE Communications Magazine. IEEE Xplore. 53 (12): 83–88. doi:10.1109/MCOM.2015.7355589. ↑ Heath, Nick (September 26, 2014). "Could ultrafast broadband over copper speed the rollout of gigabit internet?". TechRepublic. ↑ "FTTH Council – Definition of Terms" (PDF). FTTH Council. January 9, 2009. Archived from the original (PDF) on 2015-06-03. Retrieved June 22, 2015. 1 2 3 "FTTH Council – Definition of Terms" (PDF). FTTH Council. September 2011. Archived from the original (PDF) on October 8, 2013. Retrieved June 27, 2013. ↑ "FTTH Council – Definition of Terms" (PDF). FTTH Council. February 2016. Archived from the original (PDF) on June 22, 2015. Retrieved June 22, 2015. ↑ "FTTx". OFS Optics. Retrieved 2017-07-17. ↑ da Silva, Henrique (March 2005), "Optical Access Networks", Instituto de Telecomunicações, 9 March 2005, slide 10. Retrieved on 2007-03-25. ↑ McCullough, Don (August 2005), "Flexibility is key to successful fiber to the premises deployments", Lightwave22 (8). Retrieved on 2010-01-27. ↑ EPB, website of a non-profit agency of the City of Chattanooga, established in 1935 to provide electric power to the greater Chattanooga area. Retrieved 12 July 2013. 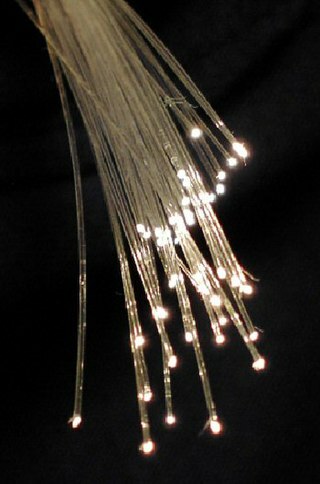 ↑ EPBFI, a website for EPB Fiber Optics. Retrieved 3 June 2014. ↑ Enrico Pietralunga (23 March 2009). "Fastweb FTTH: A 10-years success story" (PDF). Konferenzbeitraege Berlin presentation. Fastweb . Retrieved 3 May 2012. ↑ "FTTH with the Optical Distribution Frame". Connections. Reichle & De-Massari AG. 17 March 2011. Archived from the original on 2012-03-28. Retrieved 3 May 2012. 1 2 Sean Buckley (17 January 2011). "Italy: FTTH reaches 348,000 subscriber mark". Fierce Telecom. Retrieved 3 May 2012. ↑ "Digital Agenda: Commission outlines measures to deliver fast and ultra-fast broadband in Europe". Europe's Information Society. 20 September 2010. Retrieved 3 May 2012. ↑ "Service plans and pricing". Fiber Help. Retrieved March 25, 2017. ↑ "Facts and Figures 2010" Archived 2012-07-08 at Archive.today , Annual Report, Telekom / Austria Group. Retrieved 12 July 2013. ↑ "Telecommunication Market Trends", 2010 Annual Report, Swisscom, page 22. Retrieved 12 July 2013. ↑ Dieter Elixmann, et al., "The Economics of Next Generation Access-Final Report: Study for the European Competitive Telecommunication Association (ECTA)", WIK-Consult GmbH, 10 September 2008. Retrieved 12 July 2012. ↑ "Fibre in Cape Town"
↑ Rudolf van der Berg, "Developments in Fiber Technologies and Investment", Working Party on Communication Infrastructures and Services Policy (CISP), Committee for Information, Computer and Communication Policy (ICCP), Directorate for Science, Technology and Industry (DSTI), Organisation for Economic Co-operation and Development (OECD), 3 April 2008. Retrieved 12 July 2013. Wikimedia Commons has media related to Fiber to the x .